Ghost Hunting Theories: Tall Coastal Tribes Prove Denisovan Giants? Tall Coastal Tribes Prove Denisovan Giants? The Yaghan were a tribe on the tip of Argentina in Tierra del Fuego in to Cape Horn at the most southern spot humans could live and also quite isolated. The tribe had the Otamid skull type also and seemed impervious to the cold climate and chilly waters. The tribe dove in cold waters for shellfish, were apparently unaffected by cold and went about bare. The tribe was attempted to be preserved, but as Europeans managed to do at most Native sites they discovered, the tribe died off by disease and relocation. 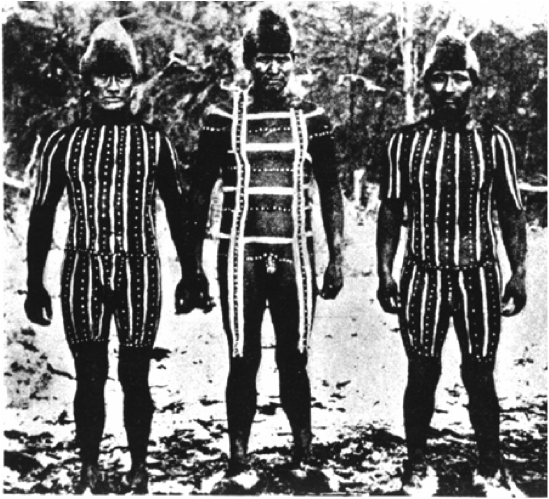 Florida had several tall tribes such as the Calusa, also known as the "shell indians." Seashells represented much to this culture of Native people who landed on shorelines and lived off the sea life. These shells found at ancient mounds show the culture of trade that was made up and down the Mississippi and other regions. In fact, conch shells were found in midwestern mounds. Source: The Guaycura Indians were native to our area (Mexico) and as legend has it that, the men were used as procreation and the tribe was run by their Amazon Queen, Queen Calafia. Some schools of thought have it that after her, California was named. She was quite famous as evidenced by the use of her name "Calafia" throughout Baja and Mainland Mexico. Also the Guaycura Indians were tall, over 6' tall and looked like no other Indian in any part of Baja or Mainland Mexico. There is no record of any Indian anywhere in the western hemisphere that has any likeliness to them. Due to the fact of their resemblances to the seafaring voyagers of the Pacific Islanders, and the similar latitude to the Hawaiian Islands, there is more than a possibility that they were direct descendants of Polynesian seafarers attempting to find the Hawaiian Islands that had blown off course and landed at southern Baja California and settling there. You will notice as you observe the local people of the area you will see an amount of tall slender dark haired Indians, these are descendants of the original Guaycuras. 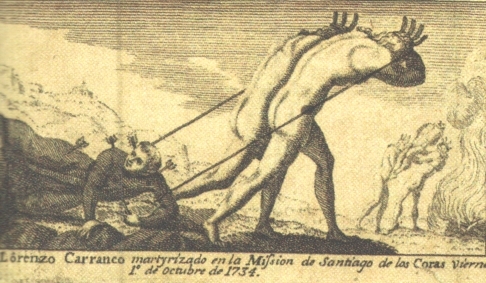 By 1767, virtually all the Guaycura Indians in the area had died either of European diseases or in skirmishes with the Spanish. Surviving mission Indians were moved to missions farther north, but San Jose del Cabo just 30 minutes South, remained an important Spanish military outpost until the mid-19th century when the presidio was turned over to Mexican nationals. Source: The Pericues were taller and stronger than the mainland Mexico Tribes. Their skulls were shaped more like the South Pacific tribes. Both the Pericues and the Guaycuras were referred to as the people who spoke a different language. Now, it becomes clear that the Natives of America did not all come from Asia, some of these taller tribes with different shaped skulls came to the Americas by way of the South Pacific, taking to shorelines and settling in versus those who might have taken the land bridge and walked into the middle of the Americas to settle along waterways and fertile grounds. These coastline tribes were shown to be divers and boat-makers, seafaring folks. They inhabited caves. It is important to note that they were reported by the arriving Europeans as being very water savvy, but being nomadic and not technologically advanced. You have a people who did not build stone buildings, but lived in caves and moved about enough to have not mastered village-building and other technologies. Measles, smallpox, syphilis and warring with the arriving Europeans meant the decimation of these people. We have many peoples finding the Americas and living here. The Pericues are a great example of a tribe that was here about 10,000 years ago, tall, but stayed along the coastlines, like the Karankawa. They seemed to have had South Pacific origins as witnessed in their skull shape. They might have been a native people that were more related to the Denisovan population from tens of thousands of years ago which tells us the Denisovans might have been a tall people and water-oriented, as they gave their height to coastal tribes and also circumnavigated the globe early on, leaving that technology and focus on their offspring who were half Denisovan and half Homo sapiens at the time (over thousands of years, leaving just a few percentage of Denisovan in the makeup of the South Pacific People). It would appear that Native Americans came across the land from Asia. The tall coastal Indians came up from the South Pacific region - the same path the Denisovans showed their DNA traveling. 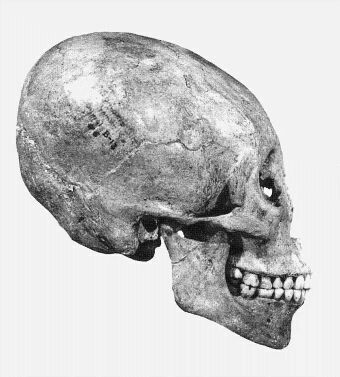 Taking this into account, the Denisovans were likely a tall people with this Otamid shaped head. Were the Denisovans the people we call ancient giants? It seems quite likely if their coloring came from the Northern regions where they were living alongside Neanderthal and might also explain why some tribes, such as the Solomon Islands, have members with red hair and light hair and the South Pacific's very powerful influence of cannibalism culturally held. During the window of time tens of thousands of years ago when they could mate with Homo sapiens, they left their DNA in the South Pacific region where they were at that time. When the Denisovans moved on towards the Americas, entering likely from the South Pacific into Peru and other shorelines, they were past the breeding window with us (the same bottleneck Neanderthal met with the Homo sapiens tens of thousands of years ago). In fact, shorter reported Neanderthal-like men today in the Siberia region might just be the last of the Neanderthals driven off into the wilds. The Denisovans likely brought the South Pacific Natives with them on their voyages as slaves perhaps or even as a source of food for long treks (assuming they were carnivorous as ancient legends and bone findings show). This action settled South Pacific lineages into the Americas along the shorelines and eventually creating these tall tribes. When the Karankawa traded copper and shells with the giants of the north, they were likely trading with their own relatives distantly. In fact, if America was the last settling place of the giants, it shows in the populations that have taken to the woods, as we are the most reported country with encounters.